Please join me today -and every Wednesday – for Poetry Corner. Link up any (old or new) poem you think we would all enjoy. Tag #PoetryCorner for your tweets so I won’t miss your post and I can retweet it too! the caged bird still sings. 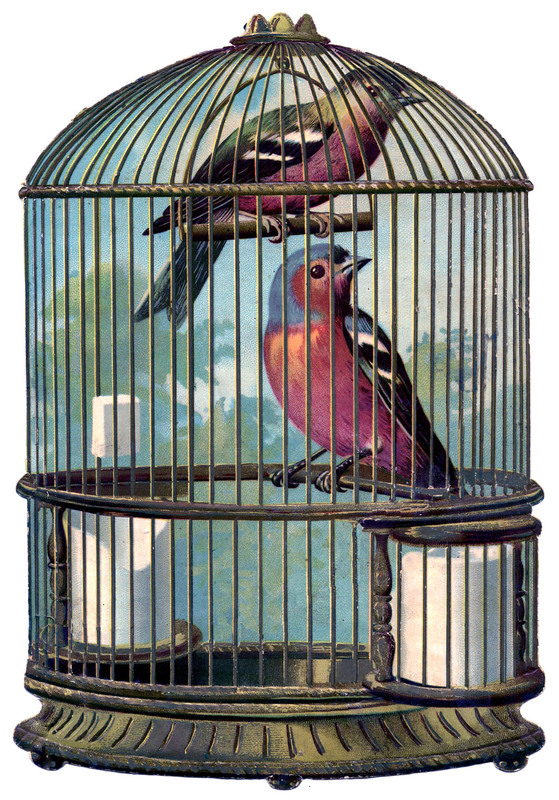 and yet it makes me think of that other saying, that a gilded cage — is still a cage. I like the turn in the second part. i had “gilded cage” in my mind but I couldn’t remember why. now i see it must’ve been because i’ve heard of that saying before but forgot about it. 😉 i’m glad you liked it though! thanks. ironically, we have 2 pet birds. they were actually the inspiration to this poem! this makes me think of those who are too fragile tor the real world. …strong visual. No wonder jailbirds try and break free. (^_^) Enjoyed reading your piece.